The US is not the only country benefiting from reflection. On April 27th, Emmanuel Macron, president of France, announced the creation of a foundation for the memory of slavery, to be headed by the country’s former prime minister, Jean-Marc Ayrault (Le Figaro link). 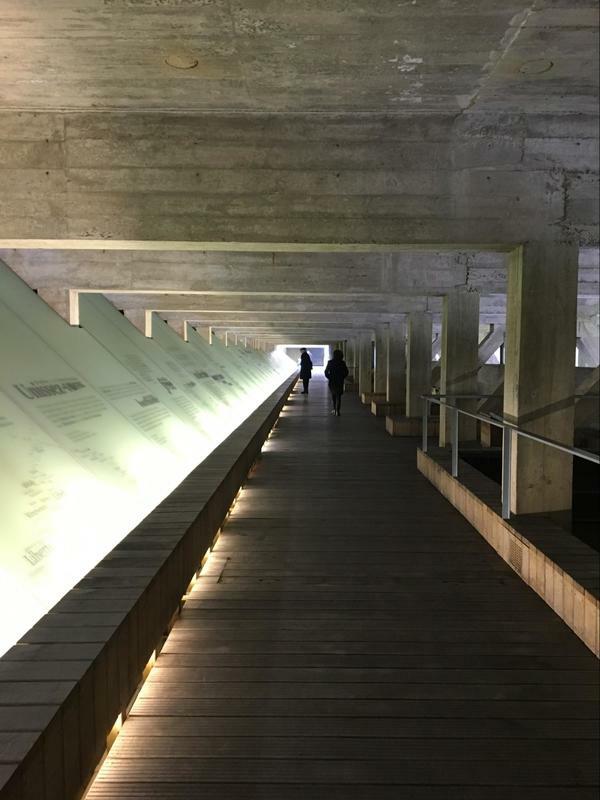 Monsieur Ayrault was selected because of his role in leading the city of Nantes to acknowledge its participation in the slave trade, including installing a remarkable memorial to abolition of slavery and focusing the city’s museum on telling this horrendous story. Millions of people now visit Nantes to become acquainted with this story. 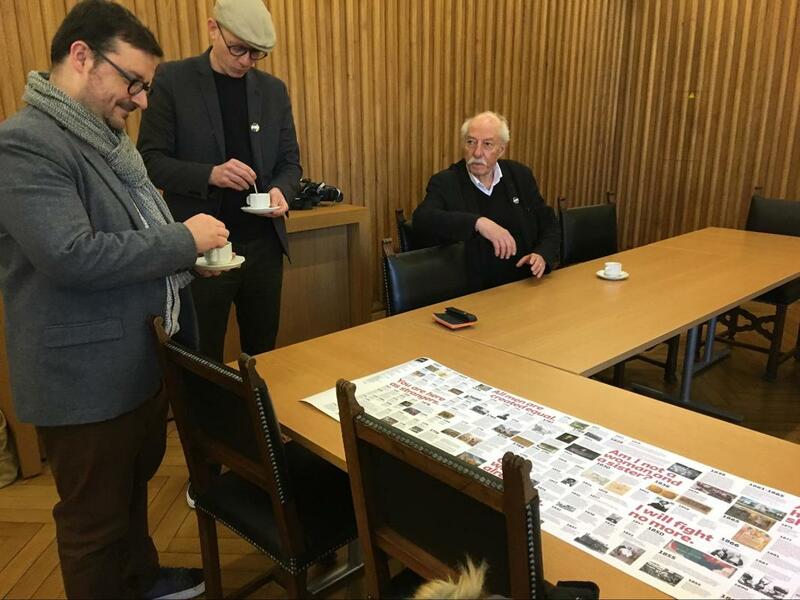 In March, 2018, several organizers of the 400 Years of Inequality project went to Nantes to visit with Jean-Marc Ayrault and leaders of Nantes to learn about their experience. Two of the important lessons from Nantes are these. French colleagues, including Michel Cantal-Dupart (right), preparing for meeting of 400 Years of Inequality Team with Jean-Marc Ayrault, former prime minister of France. 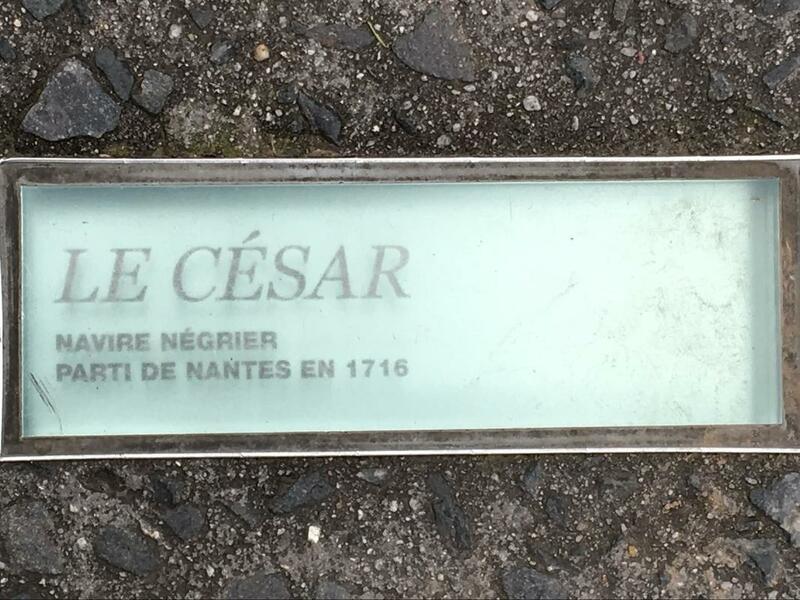 First, Nantes told its own story. The city shared that it was the leading French principal port in the slave trade, outfitting expeditions that went to Africa to trade cloth and other same items for human beings, then went to the Americas to sell those people into slavery. The names of the ships and the dates they sailed are presented in the public space. Standing in the port of Nantes and imagining those ships was evoked another era and the ways in which making money trumped human rights. Names of the 1700 ships that sailed from Nantes are embedded in the pavement of the Memorial to the Abolition of Slavery. ​View of the Memorial to the Abolition of Slavery, which is built into the riverside. It’s tight dark space remind us of slave ships, but the words engraved on glass to the left remind us of the fight for freedom. Second, Nantes presented the artifacts of the trade, which depicted the ships and their cargo, not as abolitionist propaganda, but as owners’ documentation of their cargo. These frank presentations of the business of the slave trade were shocking to me, but helped me understand the inner workings of that business. The artifacts give a much deeper understanding of this global effort. 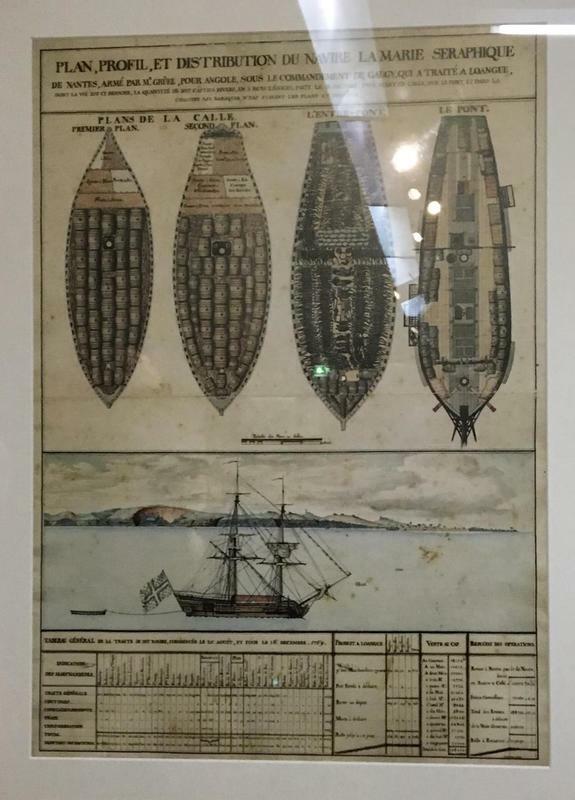 This artifact of the slave trade includes a drawing showing how slaves were packed in into the ship, as well as the financial facts of the voyage.